Concussion researchers have long suggested that damage to the corpus callosum, a thick bundle of nerves that connects the brain's two halves, could result in some common side effects of concussion, like dizziness or vision problems. 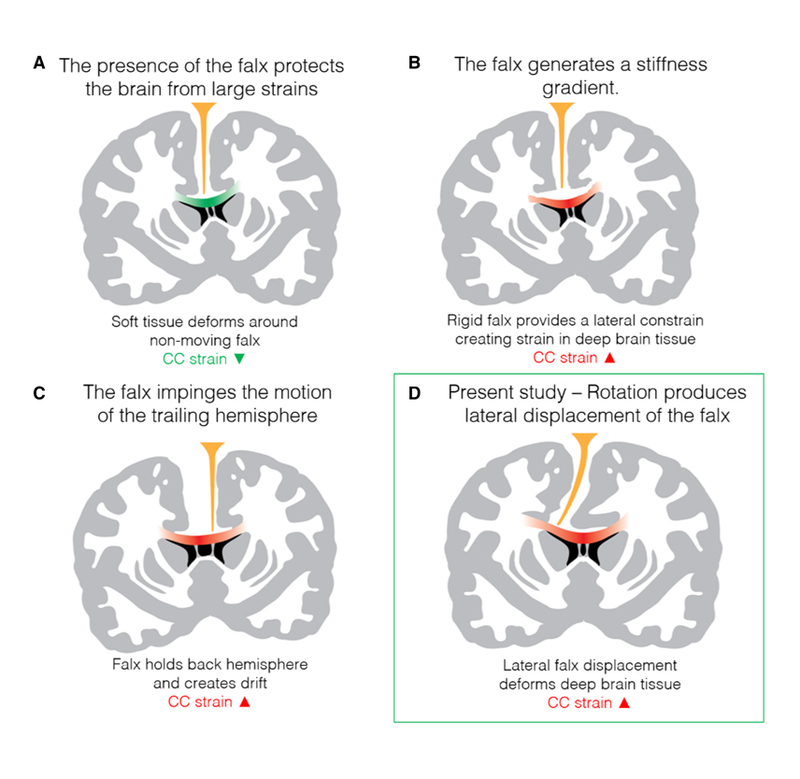 The assumption is straightforward -- that damage to the corpus callosum could affect coordination between the two halves -- but difficult to prove. Although still not proof, Stanford University researchers have gathered evidence to support the idea by combining data from sensors worn by athletes, simulations of brain movement based on those measurements and brain images of people with and without concussions. Their findings, published in Biomechanics and Modeling in Mechanobiology, suggest that impacts to the side of the head might cause harmful vibrations in a structure connected to the corpus collosum. Posted on BrainLine April 15, 2019.